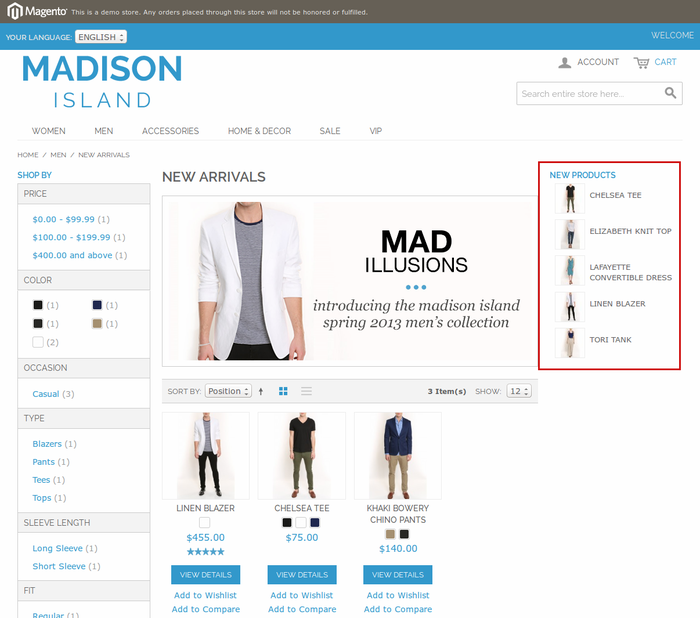 All types of products can be shown into New Products Section. 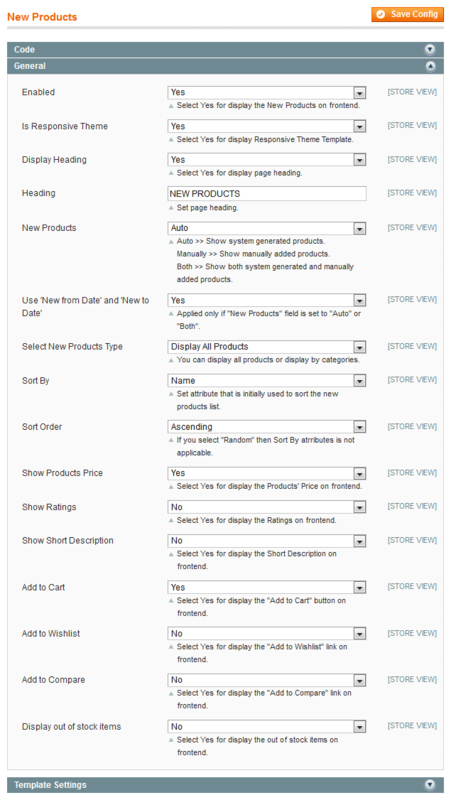 Allow to display auto generated new products or choose manually products for display into new products section. 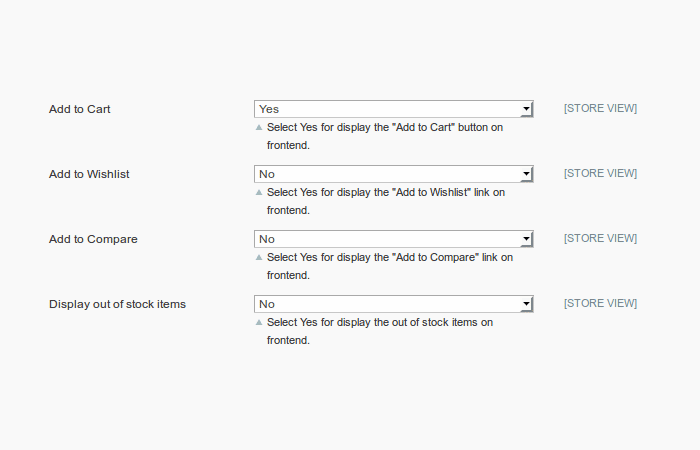 Easily customize options for new products contents from Configuration. 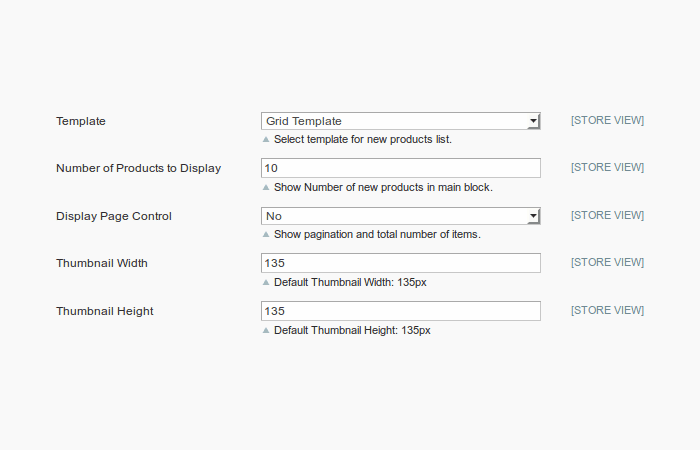 Allow to customize new products template page like list, grid and pagination controls. Option for filter new products category wise from configuration. 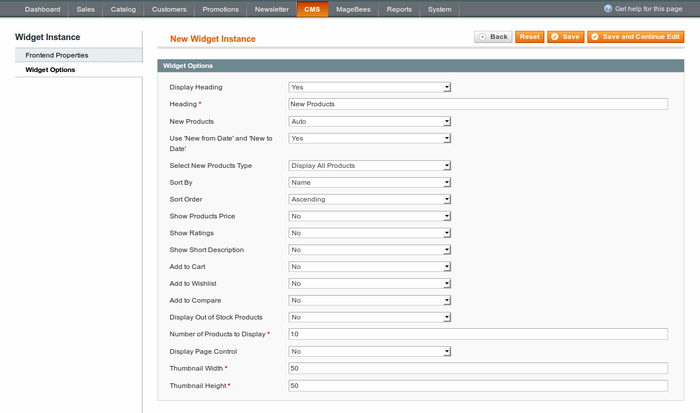 Allow displaying new products on any pages with just putting code and also display with the use of new products widget. 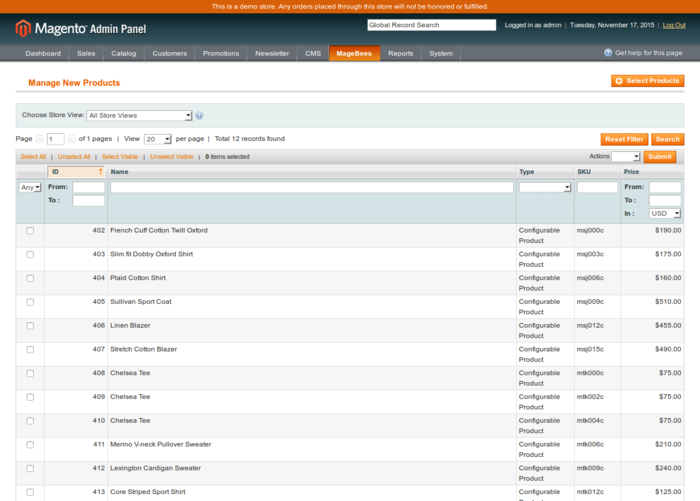 New products extension is used to display products which are between New from Date and New to Date attributes. 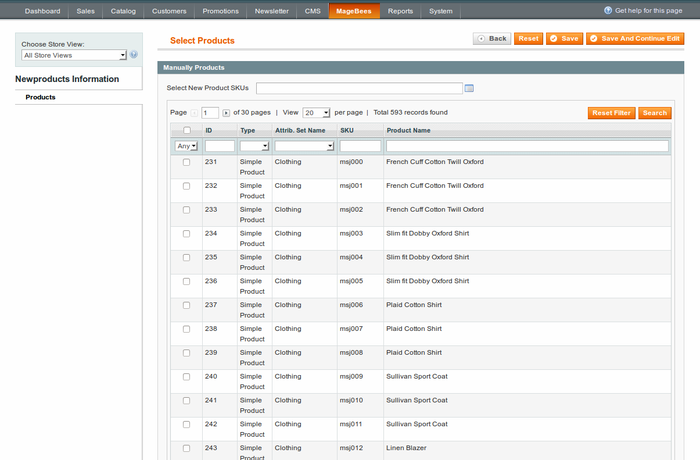 You can also display by creation date of product and choose manually products as new products. It is easy to setup and have many options for settings from admin. 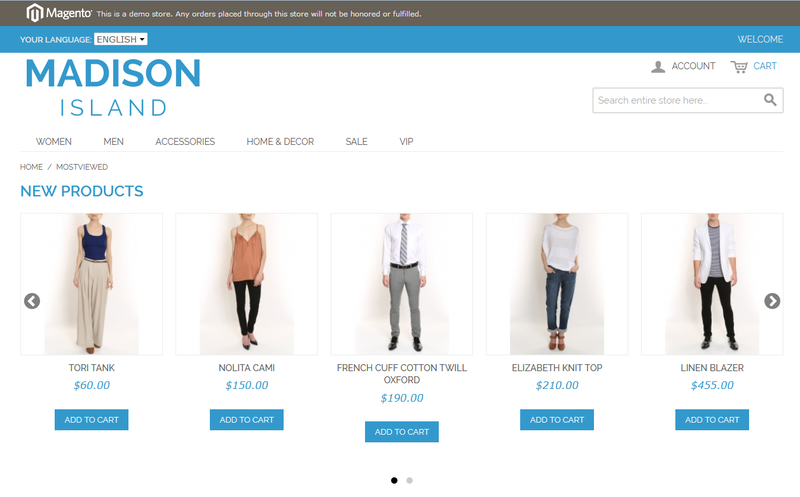 You can display new products using block, template, layout and widget. How to display new products manually? 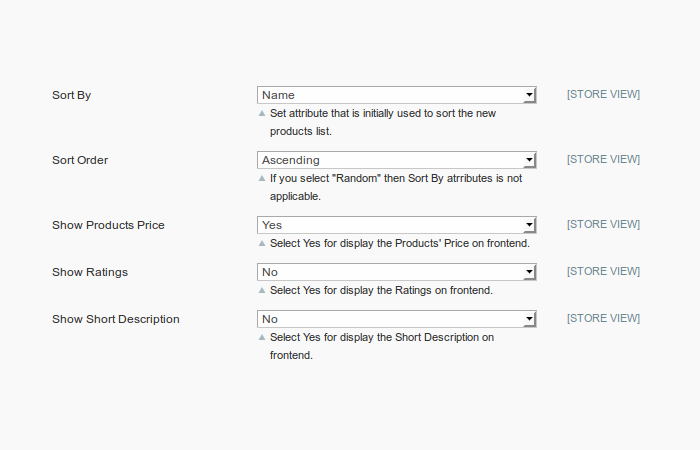 For display product as a new products, you just have to choose products from list and save it. 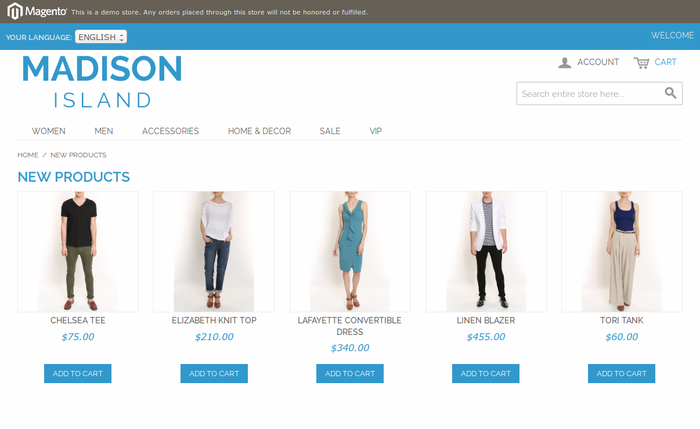 This extension gives ability to show new products block in cms pages, phtml or xml with the help of putting below code into appropriate page as explained into the snapshot. 5 stars for perfection and service support. Extremely glad! Very nice extension with complete documentation. This extension provide all the features of new products and it is also free. I recommended this extension. Introduced this item and needed to strife support. They rushed to decide the contention Awesome PRODUCT AND SUPPORT. Brought about the ideal result! A debt of gratitude is in order for this astonishing expansion! Incredible useful extension for showing new products. Module functions as it ought to. Incredible Extension and Great Support. I am impressed in a detail description and ease of use and installation. 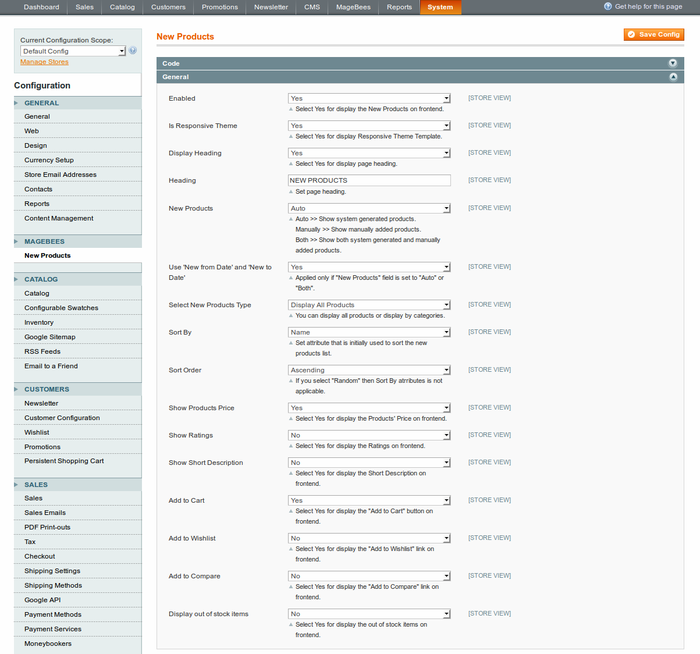 This extension give lot of options in the admin section using that we will manage New Products. Q-1: I have installed new products extension. But when I click on new products tab in the config page will get a 404. :(. Ans : After install New Products Extension, please Logout from admin account and re login and Refresh Cache. 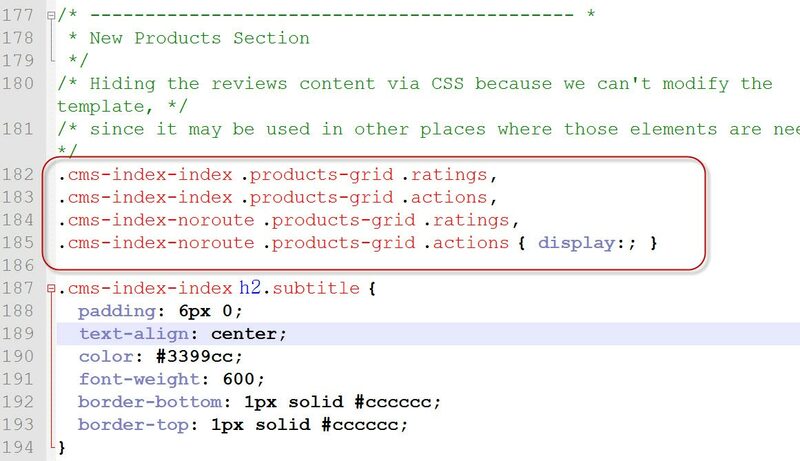 Q-2: I have installed new products extension on magento 1.9 (rwd package) but ratings not display on front-end ? Ans : Step-1:Please open below file. 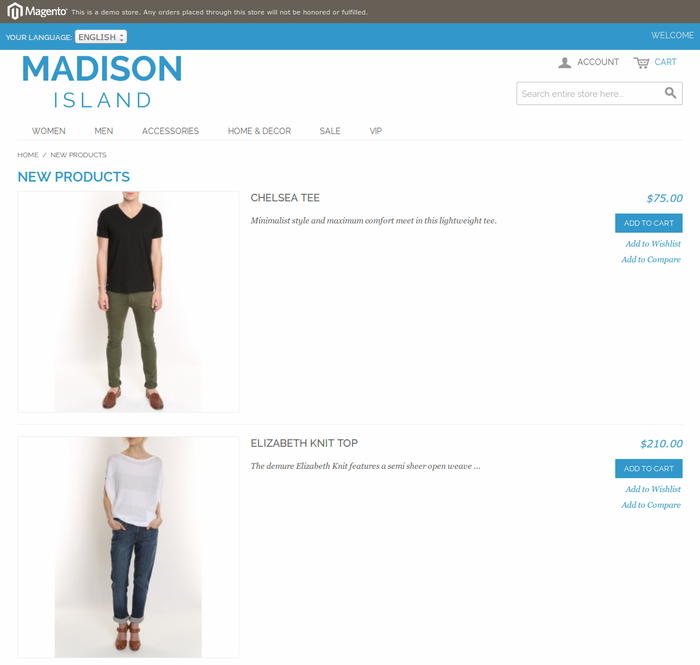 /skin/frontend/rwd/default/css/madisonisland.css. After replace Code then you will get below screen. 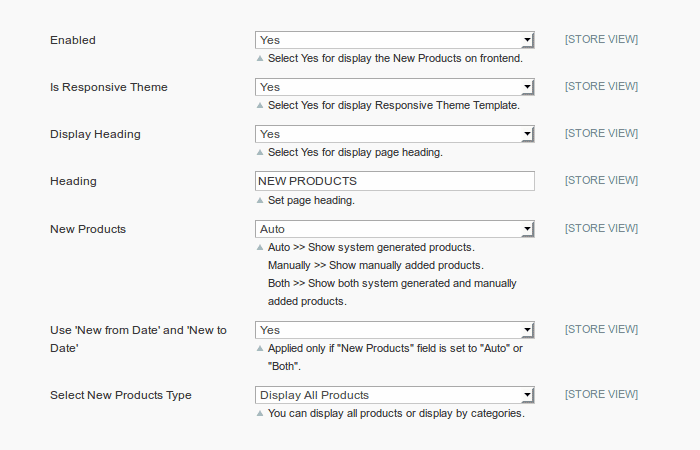 Q-3: I applied the 6788 patch on my magento setup, a new block doesn’t show up on home page or any cms page ? Now newproducts block has permission to display.